The decision yesterday by the Labour’s Party’s disciplinary panel to suspend Ken Livingstone from holding any Labour Party elected office, MP, for example, for two years, has whipped up a storm of controversy. Livingstone has already been suspended for one year, so in effect the suspension is only for a further twelve months. 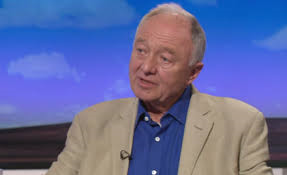 Livingstone’s comment, that ‘Hitler supported Zionism,’ is based on the 1933 Haavara Agreement between the Nazi government and German Zionist organisations, which allowed around 66,000 German Jews to leave the country and re-locate to Palestine. This was before the Nazi’s embarked on their mass extermination of Jews, and was probably seen as a way of cleansing Germany of its Jewish population. Many UK Jewish organisations have expressed dissatisfaction with the leniency of the punishment given to Livingstone, saying he should have been expelled by the party. Also many Labour MPs, including Tom Watson, Labour’s deputy leader, Sadiq Khan the Labour Mayor of London and some members of the shadow cabinet, have all called for Livingstone’s expulsion from the party. Watson described the decision not to expel Livingstone as ‘incomprehensible’ and agreed with the Chief Rabbi, Ephraim Mirvis, that Labour, ‘had failed the Jewish community.’ Predictably, there are calls for Labour’s NEC to review the case. I don’t think Livingstone’s comments can exactly be described as true, since Hitler clearly did not support Zionism, but equally I don’t think that you can say convincingly that the remark is anti-Semitic. It is a rather clumsy interpretation of what happened in 1933, and frankly, I can’t imagine why Livingstone got involved in making such comments in the first place. He surely knew that saying something like he did, was bound to cause controversy, not least in sections of the Jewish community, and what did he hope to achieve by saying something so crass? Only Livingstone will know the answer to that, and this is not the first time he has made insensitive remarks conflating Hitler and Jewish people. When he was Mayor of London, he accused a Jewish newspaper reporter from the Evening Standard of ‘acting like a concentration camp guard,’ admittedly after having several drinks at a party, but even so. Hardly, a sensitive remark is it? Livingstone does seem to be obsessed with Hitler. There is even a website now that tells you how many days it is since he last mentioned Hitler. Of course, this being the Labour Party, there is a sub-plot here. Namely, to discredit the Labour Party leader, Jeremy Corbyn. Livingstone is a strong supporter of Corbyn, so they are attacking the leader by proxy, rather than a full frontal assault. After Corbyn’s successful re-election as party leader last year, the Labour right has been almost completely mute about his abilities or lack of them. Fearing Corbyn’s re-election by members was an indication that the rank and file of the party blamed Labour MPs disloyalty, for the party’s woes in the opinion polls and real elections, they decided on a vow of silence. This ‘give him enough rope, he will hang himself,’ type of strategy, has now been blown apart by the Livingstone affair. The Labour right could contain themselves no longer. There appears to be something in the DNA of the Labour Party, which loves investigations and witch hunts. All of the paranoia about entryism we have witnessed in the last couple of years from the Labour right, the expulsions or the denying of a leadership election vote to some new members and supporters, on trivial grounds such as once tweeting that the Greens had a good policy on this or that, has been common. It stretches back through Labour Party history, from the anti-communist witch hunts in the pre and post world war two era, up until the 1980s expulsions of Militant supporters and the marginalising or expelling of anyone who criticised New Labour in the 1990s. Livingstone himself was excluded from standing as the Labour candidate for Mayor of London the first time around in 2000. Livingstone promptly stood as an independent, and won handsomely. He was re-admitted to the party in time for the 2004 Mayoral election, because he was going to win again away. I once asked a Green Party colleague who had previously been a member of the Communist Party (not sure which UK version) and the Labour party, whether the Communist Party had been ‘Stalinist?’ "Not as Stalinist as the Labour Party" she replied. Plenty of people have asked me over the last couple of years if I will join Labour now that it has a left-wing leadership. Corbyn may not be leader of the Labour Party for all that much longer, but some things with Labour, never change. I think it is extremely unlikely I will join the Labour Party, for this very reason. See also anti-Zionist Tony Greenstein's blog posts Zionist-Nazi Collaboration - Debate and Ken Livingstone faces Labour’s Star Chamber as the Witch-hunters Change the Charge.